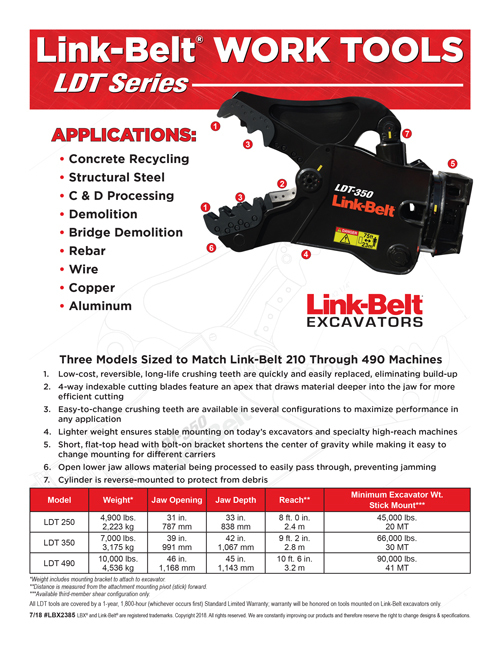 Link-Belt LDT Concrete Processor work tools match today’s new classes of excavators and specialty, high-reach applications. These rugged work tools are the ideal choice for C&D processing, recycling or bridge demolition applications involving concrete, structural steel, rebar, wire, copper or aluminum materials. 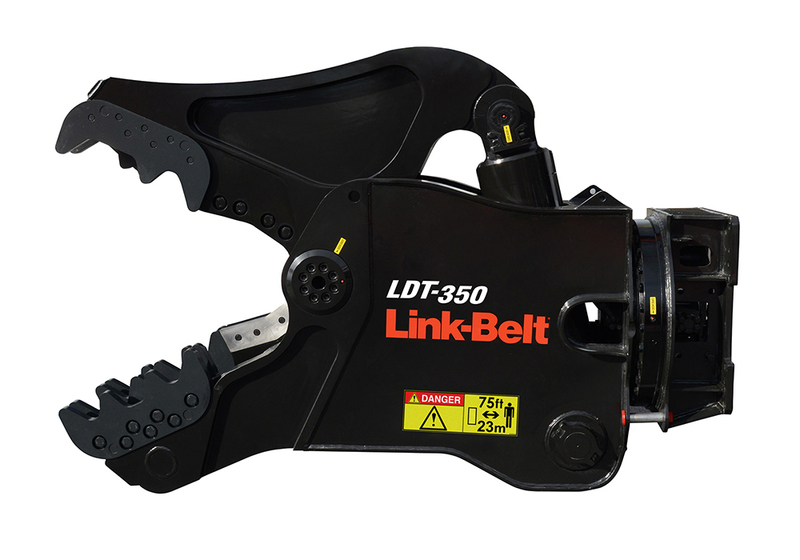 Three models sized to fit Link-Belt 210 through 490 machines. Model Weight* Jaw Opening Minimum Excavator Wt. **Available third-member shear configuration only.